Place juices, sea salt and agar flakes in a pot. Bring to a boil. Stir occasionally to dissolve the flakes. When it comes to a boil, reduce the flame to low and simmer 3 to 4 minutes. 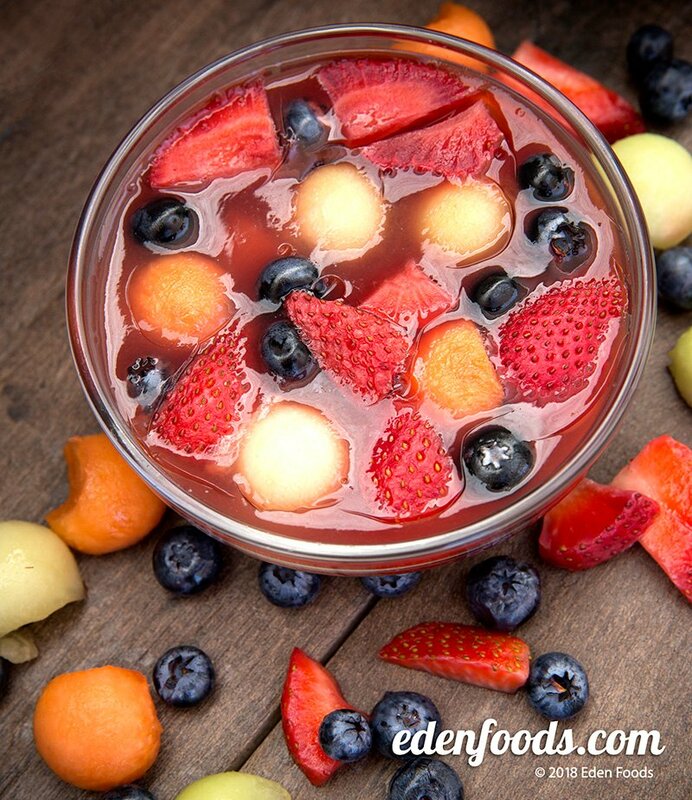 Place the sliced fruit and berries in a serving dish. Pour the hot juice over it. Set aside on the counter or a cool place until gelled, about 1 to 1 1/2 hours. Slice into squares or spoon out and serve.